Welsh Premiership clubs are in danger of collapsing. Pic: Mike Jones / Replay Images. A week ago, Robin Davey suggested there was plenty to be alarmed about in Welsh rugby when it came to the dysfunctional Premiership. Now, the sirens have started wailing with the news that Cross Keys do not even have enough money to finish the season. And they are far from alone. The desperate news that Cross Keys have launched a survival fund just in order to finish the season proves just how quickly the shine from a Grand Slam can fade. Scratch below the glittering surface of Welsh rugby and there is so much that looks in a state of disrepair – like a respray job covering a multitude of sins under the bonnet. Only last week this column forewarned about the problems of the Principality Premiership and how it is not being given the backing it deserves, constantly being experimented with or even downgraded. That provoked a big response, but now comes the hard evidence of the extent of these problems. Cross Keys are seeking a bail-out of £20,000 just to keep going in the division for the rest of the season. Clearly something needs to be done about the Premiership for it’s just not working and the plan to drop the number of teams to 12, providing just 11 home games next season, is not in itself the answer. Neither is the decision to delay the start next season until mid-October because the introduction of an ‘A’ competition between the Welsh regions and their Irish counterparts will occupy the first six weeks. 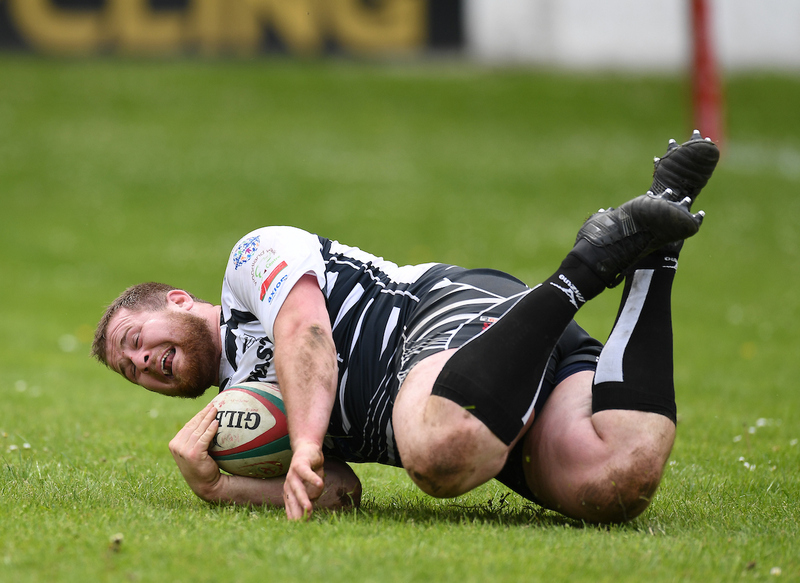 Neath have hit well-documented financial problems this season, now Keys, former national cup winners, have issued a worrying financial warning. By cutting the number of clubs in the division to 12 and bringing in that delay the WRU are surely storing up more problems. By common consent, the difficulties surrounding the Premiership are indeed financial. There is too little income to support semi-professional players. It’s a semi-pro league – players work for a living and do rugby training a couple of times a week – yet they are paid beyond what the Premier clubs are bringing in. But if players’ earnings are dropped, many will just move on to where they can earn similar money, or better. The few clubs who have wealthy benefactors will benefit the most because they have outside money being pumped in. Cross Keys v Pontypridd. Pic: Mike Jones / Replay Images. But what good is it having the team, or teams, who get the most revenue winning all the time? Not a lot it has to be said, certainly not at that level. For all that, some kind of financial regulation seems the only answer. The regions are still in serious in trouble, too, and one of Wales’ best young players is flying the nest into England with the prospect of more to follow. Shattering defeats suffered by Cardiff Blues and the Scarlets at the weekend now makes it highly unlikely the pair will qualify for the Champions Cup next season. The Blues were hammered by Munster in Cork when, for all their talent behind, the forwards were outplayed by a typically robust Munster eight and they paid the price. Next day, the Scarlets suffered a really disappointing home defeat at the hands of Edinburgh who themselves had run Munster close the previous week in the Champions Cup quarter-finals. Those results mean that even if the Welsh pair win their remaining two Guinness Pro 14 league games they may still not qualify for the Champions Cup. And that would mean Wales suffering the ignominy of having no representation in Europe’s premier competition next season. The Ospreys did win well in South Africa against the Cheetahs while the Dragons finally ended their 42-match away league losing run when they managed a draw against Southern Kings in Port Elizabeth. But both are destined for the second tier of Europe next season, and it looks as though they’ll be joined by Cardiff Blues and the Scarlets. On an individual basis, Cardiff Blues’ highly promising 21-year-old prop Rhys Carre has been lured away to join English giants Saracens next season. And more may follow, with Dragons back row forward Taine Basham, another former Wales Under-20 star, said to be the next target for the wealthy English clubs. What is ludicrous about the situation is that Carre will still be eligible for Wales because he has only been capped at junior level which does not disqualify him from the Wales senior squad. Yet, Rhys Webb is ruled out by Wales because he fails to meet the 60-cap rule, with just 28 to his name, and having left Wales to play for Toulon. So, while Webb can’t play for Wales young Carre can – which seems to be one heck of a loophole. To sharpen the point, provided Carre has an extension agreement in his contract with Saracens then he could still play for Wales after this first deal has expired. It all adds up to a host of troubles in Welsh rugby. Little wonder Team Wales gets all the support, but underneath rugby appears to be withering on the vine!